French Polynesia is renowned for its overwater bungalows and this itinerary encompasses three stunning properties. 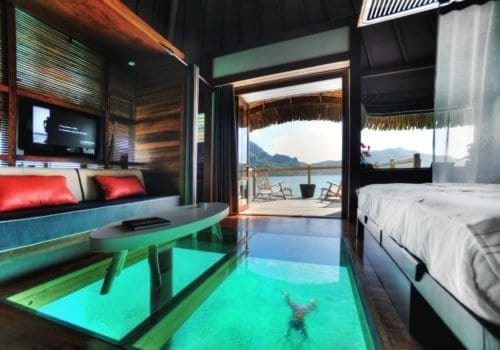 You will be staying in overwater villas in Tahiti, Bora Bora and Moorea. 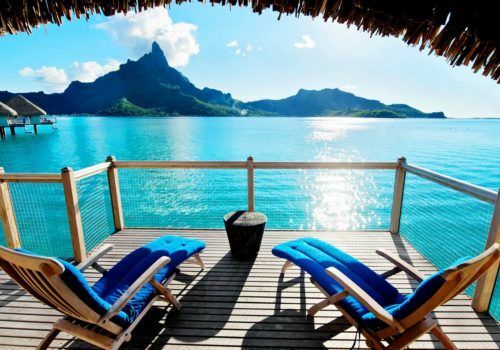 French Polynesia is known for being one of the best countries in the world for overwater villas. Enjoy having the ocean on your back door step and sit on your private terrace each evening to watch the sun melt into the ocean – how can you say no? You will be met at the airport by a representative who will then transfer you to Hotel Le Meridien Tahiti where you will spend a night. This resort is the only resort in Tahiti which sits on the beautiful white sandy beach. 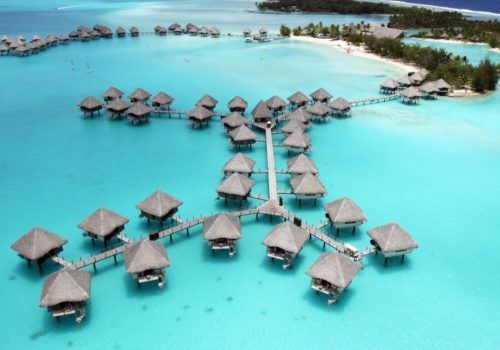 Enjoy the breathtaking views from your overwater bungalow of the lagoon and beyond. It is only 10 minutes from the shopping centre and a short ride away from the 18 hole golf course so great if you are looking to explore outside of the resort. It’s time for your next island experience. You will be transferred from your hotel in Tahiti to the airport where you will catch a flight to the island of Moorea. Here you will be met by a representative from Hotel Sofitel Moorea Ia Ora Beach Resort which is where you will be staying for the next 4 nights. The resort also has access to one of the best sandy beaches in Moorea. You will find a beautiful blend of authentic style and modern throughout the hotel and the staff are there to make your stay stress free. You will be moving to your third and final hotel today on the island of Bora Bora. The most famous and popular island and rightly so. It is home to some of the world’s best lagoons and is known for its impeccable white sandy beaches. 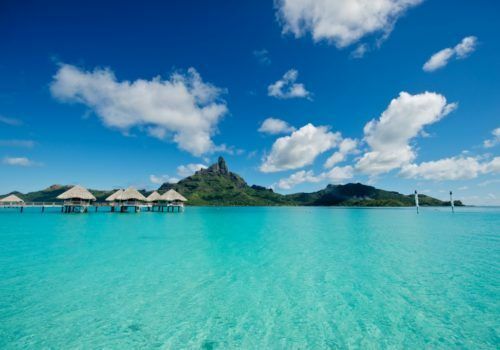 Perhaps one of the most famous luxury travel destinations on earth, Bora Bora is renowned for its ultra-plush surroundings. 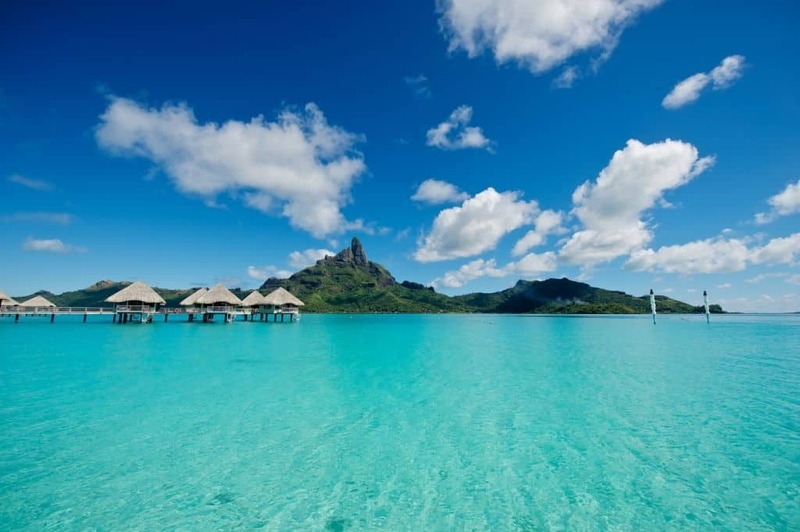 Once you have arrived you will be met by a representative who will transfer you to Hotel Le Meridien Bora Bora – one of the most luxurious resorts on the island. 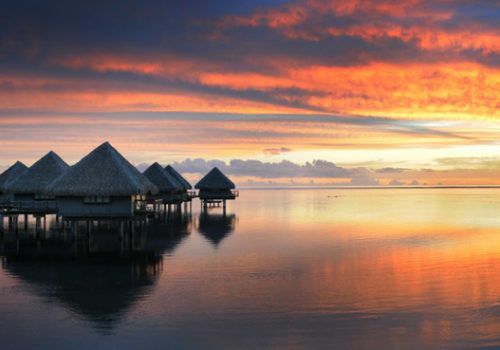 You will be staying in an overwater bungalow for 4 nights, where you will have stunning views of the lagoon. The hotel offers a wide range of activities and also hosts the Turtle Sanctuary which preserves hawksbill and green turtles. 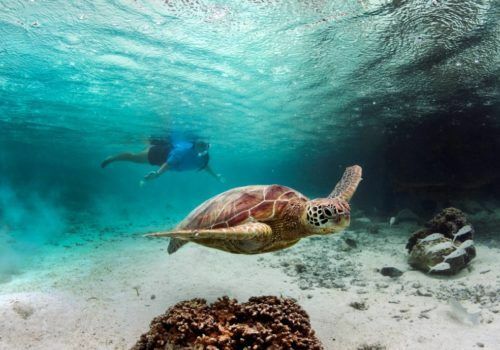 It runs a special program implemented to ensure the successful future of the turtles in the ocean. On check out, you will be transferred to Tahiti where you will catch a flight back home taking with you some incredible memories. 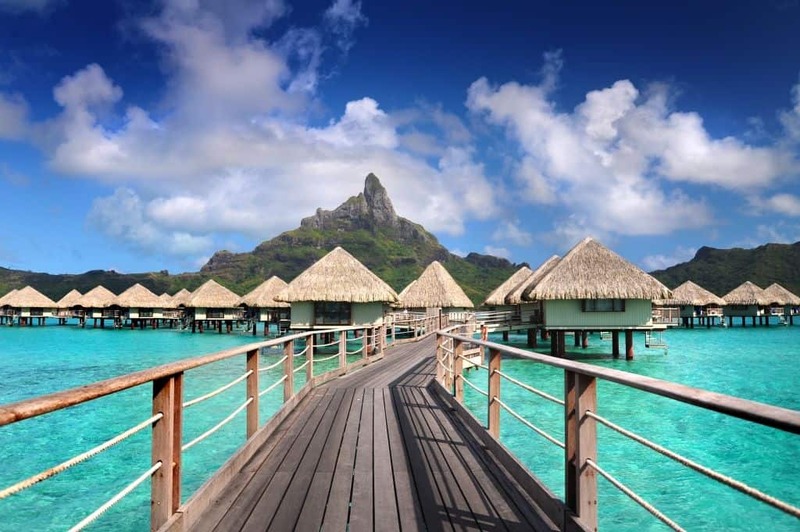 One of the most sought-after island chains to visit, The Islands of Tahiti are known for their stunning beauty and Bora Bora is perhaps the most famous of all of them.